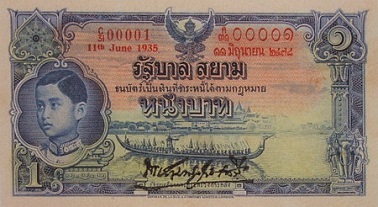 Due to the abdication of the King Rama 7 on 2nd March 1934, His Royal Highness Prince Ananda Mahidol ascended the throne to become the 8th monarch of the CXhakri Dynasty. 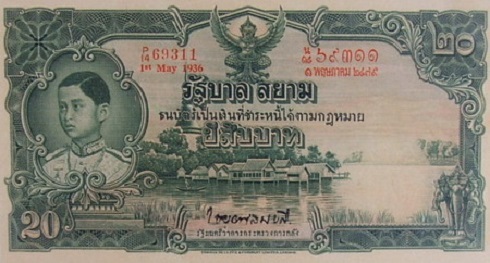 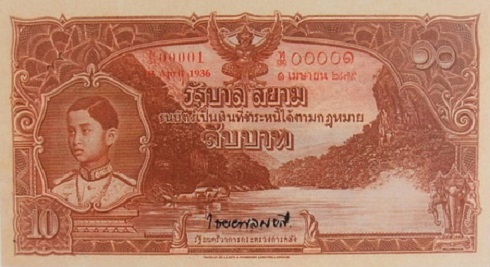 The 3nd series banknotes were continually issued in the reign of King Rama 8. 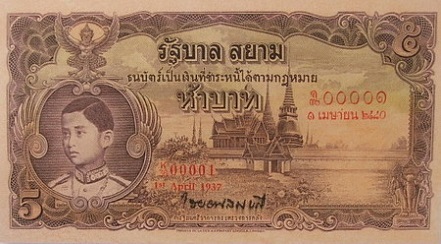 The 3rd series type 2 is identical to the 3rd series type 1 banknotes but the change of portrait of the King.